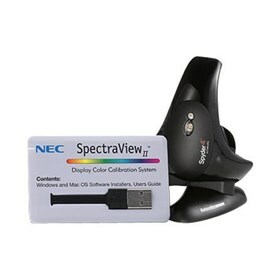 The NEC SVII-EA-KIT is a calibration kit that includes the SpectraViewII software and a Datacolor Spyder calibration sensor for select MultiSync EA Series models. It also work with MultiSync P and PA Series and select large screen models. The NEC SVII-EA-KIT has many exciting features for users of all types. The NEC SVII-EA-KIT is sold as a Brand New Unopened Item.